The Humphrey Clip-On Mantle L13-8 is intended for use with all of our Model 9T Tie-on Humphrey Indoor Gas Lights. For use in recreational vehicles, etc. 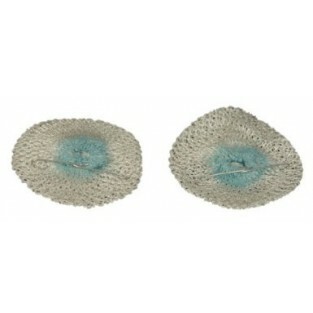 Reduces mantle breakage due to vehicle motion. New, easy to use, just squeeze clip and lock in place. The L13-8 is intended for use with burner nose L12-11A. Please note that Humphrey Indoor Gas Light part numbers that begin with 9 (not 9T) do not use clip-on mantles.